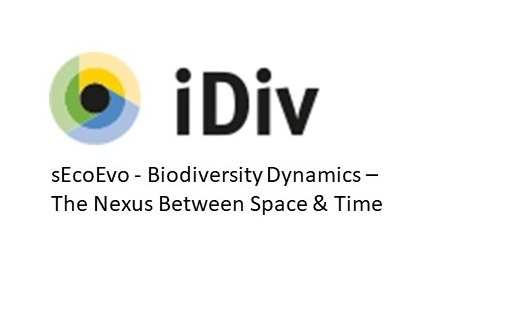 Study the intersection between ecological and evolutionary processes and to infer processes operating as we change from ecological to evolutionary time scales. The overarching question is: In the course of community assembly, how do ecological processes of colonization/ fitting give way to evolutionary processes of adaptation/ specialization (in the community as a whole)? The plan will be to use the models/ theory that the different team members are developing, and determine whether they can run on different time scales. We can then start to see what the gaps are in the more evolutionary models (eg, population sizes etc), and likewise ecological models. We’d be testing models/ theory using data across insular chronosequences, including the archipelagos of Hawaii, Canaries and Azores. German Centre for Integrative Biodiversity Research (iDiv) Halle-Jena-Leipzig. Members: Paulo A.V. Borges & Jairo Patiño (Azorean Biodiversity Group – cE3c). Other participants: Brent C Emerson; Rampal S. Etienne; Catherine Graham; Joaquin Hortal; Petr Keil; Tiffany Marie Knight; Luke Mahler; Francois Massol; Angela McGaughran; Brian McGill; Isaac Overcast; Christine Parent; Katie Wagner; James Rosindell; Dylan Craven; Harmon, Luke; Andy Rominger; Jonathan Chase.